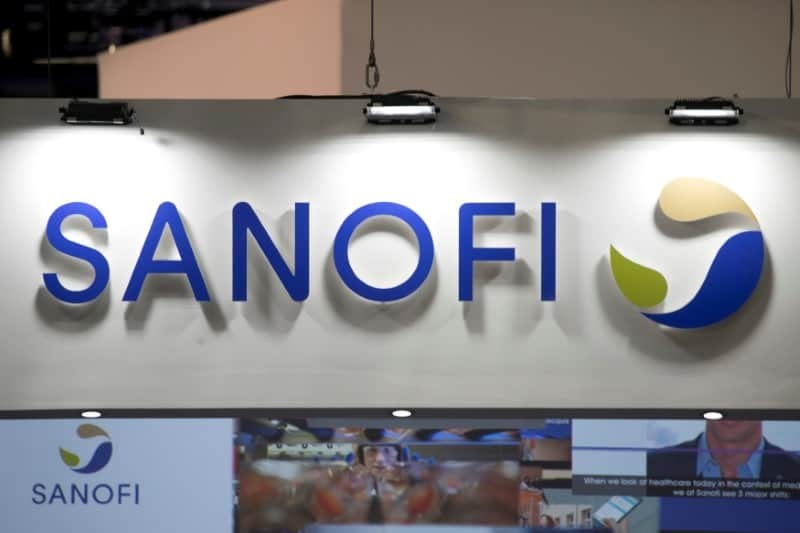 PARIS (Reuters) – Sanofi missed the boat on immune system-boosting cancer drugs. Now it’s trying to catch up. The French drugmaker has hired John Reed, the former top scientist at oncology market leader Roche to head its group research operations. And it is now focusing on a pipeline of 10 medicines that it hopes will help it get a piece of the $100 billion-a-year cancer drug market. Dmitri Wiederschain, head of Sanofi’s immuno-oncology research, acknowledged the company had failed to capitalize on the takeoff of immunotherapy – drugs that activate the body’s immune system to attack tumor cells – in the early 2010s. But he said the group could now gain an edge in the next waves of immunotherapy treatments, which include combining different drugs to better target cancer. “It is of course a very competitive space but we now have ‘foundation assets’ to form a better rationale for combinations,” he told Reuters in an interview, citing immunotherapy approaches known as PD-1, TGFBeta and the antibody CD38. “If you look across the biopharmaceutical landscape, Sanofi is the only company which has all three assets in its own pipeline or partnered with Regeneron,” Wiederschain said. Sanofi teamed with U.S firm Regeneron in 2007 to increase its presence in biotech medicine. Immunotherapy is the fastest-growing part of the cancer drug segment, with sales expected to top $25 billion-a-year by 2021, according to analyst forecasts compiled by Thomson Reuters. Frederic Ponchon, a manager at Sycomore Asset Management which holds 6.7 million Sanofi shares, said the French company was unlikely to rival cancer leaders like Switzerland’s Roche and U.S. firm Merck & Co soon. “They could enjoy occasional breakthroughs but it won’t carry a lot of weight in their overall sales,” he said. Sanofi’s main business areas include drugs for diabetes, heart diseases and vaccines, with cancer treatments making up only about 4 percent of sales. Its cancer drug sales totaled $1.7 billion last year, compared with Roche’s $25.9 billion. Sanofi has not always been behind the curve in oncology; in the 1990s, it produced top-selling cancer drugs such as Taxotere and Eloxatin. However it has been seven years since the company launched its last one, Zaltrap, which targets metastatic colorectal cancer and had sales of 75 million euros ($87 million) last year. In the meantime, companies such as Bristol-Myers Squibb and Merck & Co have developed their immunotherapy blockbusters. New treatments, if successful, can fetch more than $100,000 a year. In Sanofi’s current cancer pipeline, only one has made it to regulatory review in the United States and the European Union: immunotherapy agent cemiplimab to treat cutaneous squamous cell carcinoma. Regeneron is its partner on the project. The company expects to submit for U.S. regulatory review another of its cancer candidates, isatuximab, to treat multiple myeloma later this year or in early 2019. With over 2,000 drugs in the cancer immunotherapy space, the competitive landscape has never been more crowded as each firm seeks its own proprietary version of often similar drugs. “There is clearly huge market potential but also a very large number of players, it is the toughest issue here,” Nicolas Baudouin, a director at ratings agency Standard & Poor’s said of immunotherapy. Many of the immunotherapy drugs work in only a minority of patients, which companies hope to improve by combining drugs that target tumors in different ways. This area, where Sanofi says it can be successful, has proven a challenge for drugmakers so far. Earlier this year, a study showed an experimental drug developed by U.S Incyte had failed to bolster the effectiveness of Merck’s blockbuster Keytruda to treat skin cancer patients. Roche also failed a key combination trial last month in colorectal cancer. Wiederschain said molecular oncology, which targets a tumor based on its genetic makeup, would also be a future differentiator. This has led Sanofi to launch early-stage trials in breast cancer using molecular oncology technology. Newly appointed research chief Reed will start the job on July 1, when industry veteran Elias Zerhouni retires. Under Zerhouni’s leadership, Sanofi has tried to improve research and development productivity but still struggled to find enough new products to offset the impact of weak diabetes drug sales. It has also been looking to acquisitions to fill its pipeline. It struck two big deals in January, agreeing to buy U.S haemophilia specialist Bioverativ for $11.6 billion and Belgium’s Ablynx, which is developing an experimental drug for a rare blood disorder, for 3.9 billion euros.